Now that winter is over and the days are getting longer, many people take the opportunity to start fresh and do some spring cleaning. In addition to getting their houses in order, Nevada residents could take this opportunity to get their financial lives in order as well. This includes estate planning. Many people still believe that estate planning is only for wealthy people. Others believe that since they own everything jointly with their spouses, there is no need for an estate plan. They might not have considered the fact that they could both die at the same time, which would leave the state of Nevada to decide what happens to their estates. For those who already have estate plans, this is a good time to review the documents to make sure that they still meet expectations. Of course, any major life event such as a birth, marriage or divorce should prompt a review as well. Few people’s lives remain the same over the years. Fortunately, one of the major benefits of estate planning is that the documents can be changed as an individual’s life changes. Estate planning can be tailored to an individual’s needs. 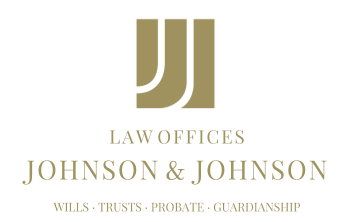 Where one person might only need a will to accomplish his or her goals, another person could need other documents, such as trusts, to accompany a will in order to achieve his or her goals. Understanding what kinds of documents are needed in order to meet estate planning goals could prove to be more complex than is at first believed. Therefore, it would be beneficial not to attempt to create an estate plan alone.